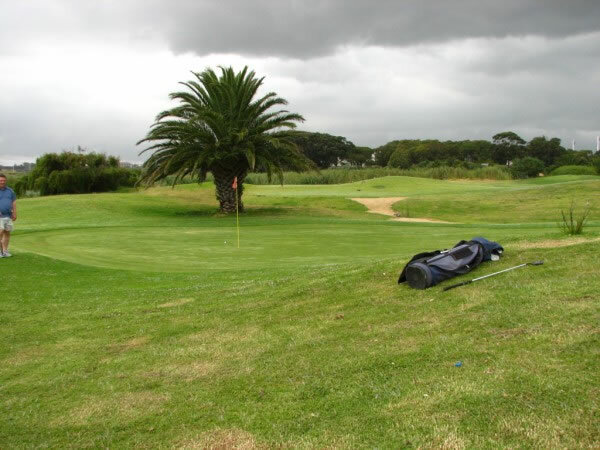 6th January 2007 - a new year and new courses to dig up - the Corporate Golfer wasted the River Club's Mashie Course (at risk of insulting your knowledge of golf, a mashie course is a miniature course consisting of par 3 holes). 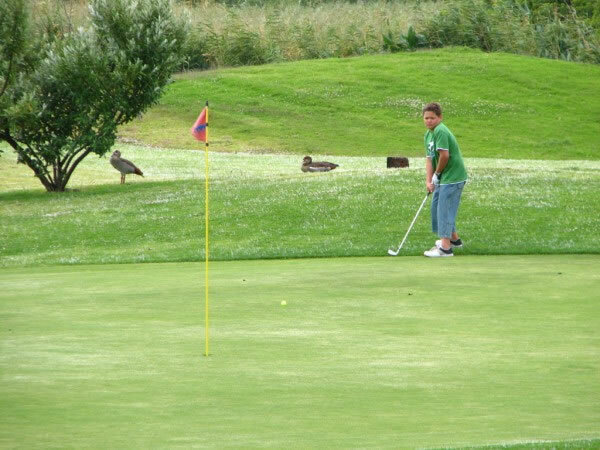 Regular readers may have noticed that the last two courses the Corporate Golfer have hacked up have both had the name River in it (previous was White River Golf Course) - watch out Rocky River Golf Club! 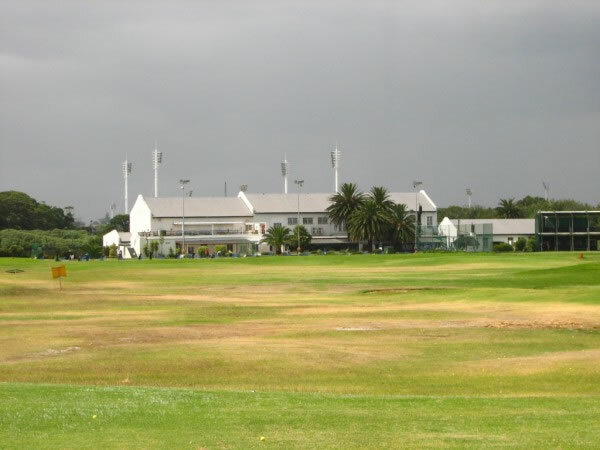 To keep golf fanatics away during times of heavy rain, the course is set on the flood plains of the Liesbeeck River. 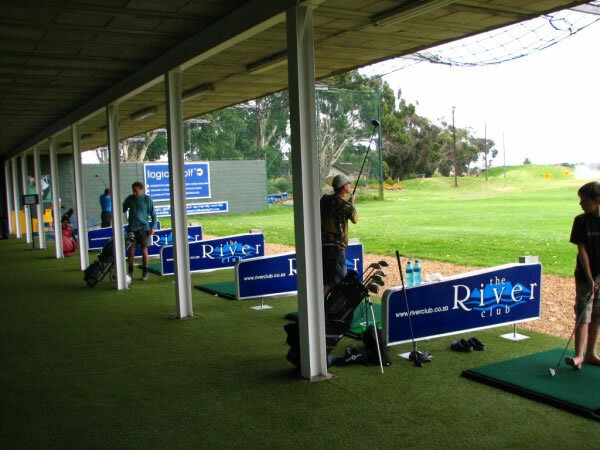 With a stunning array of driving range facilities (upstairs, downstairs, synthetic grass, even real grass), the Corporate Golfer had a great warm-up session with his wedges. You don't need more than your wedges and a putter on the River Club's mashie course. 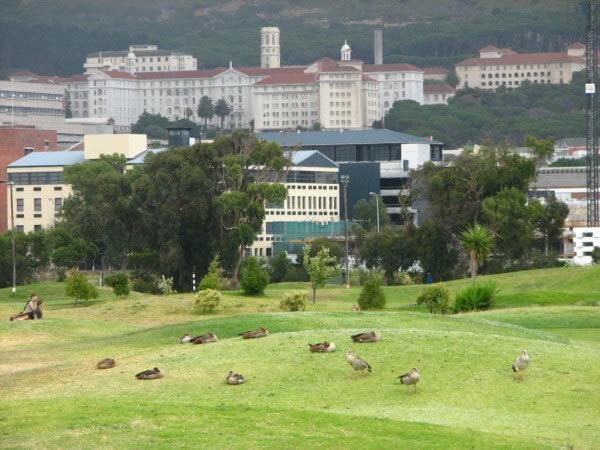 The course is a 9-hole (they plan on expanding to an 18), with different angles into the same holes for the second 9. Showing off time (if you've got it flaunt it!) 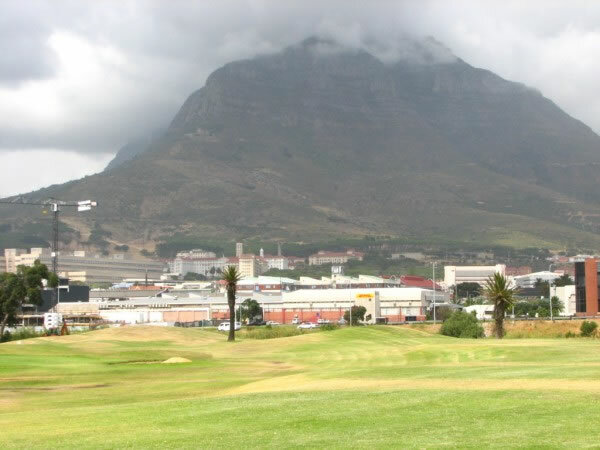 - for only the second time in his life chipping in from off the green, the Corporate Golfer had a hallelujah chip-in for par at the hole in the picture below, from the golf bag on the right.